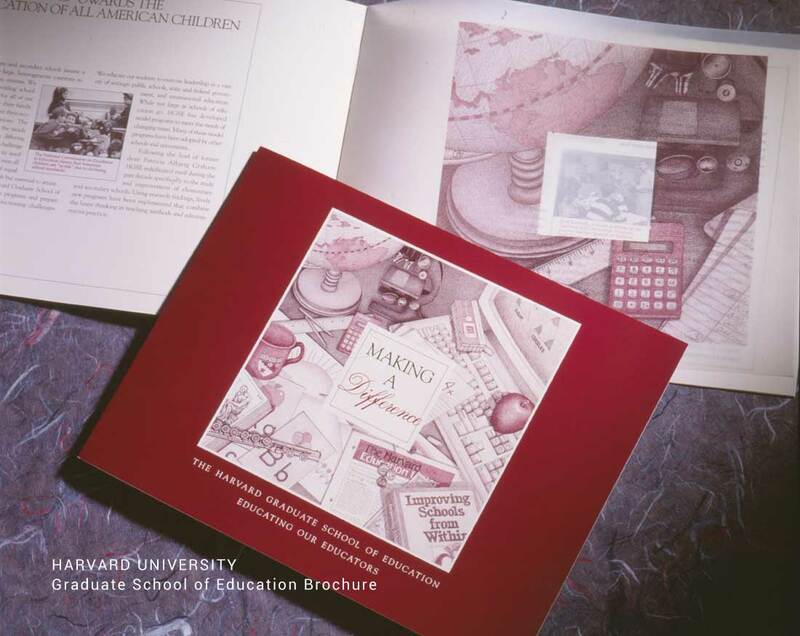 As the oldest university in the United States, Harvard protects and nurtures its reputation and brand identity very carefully. 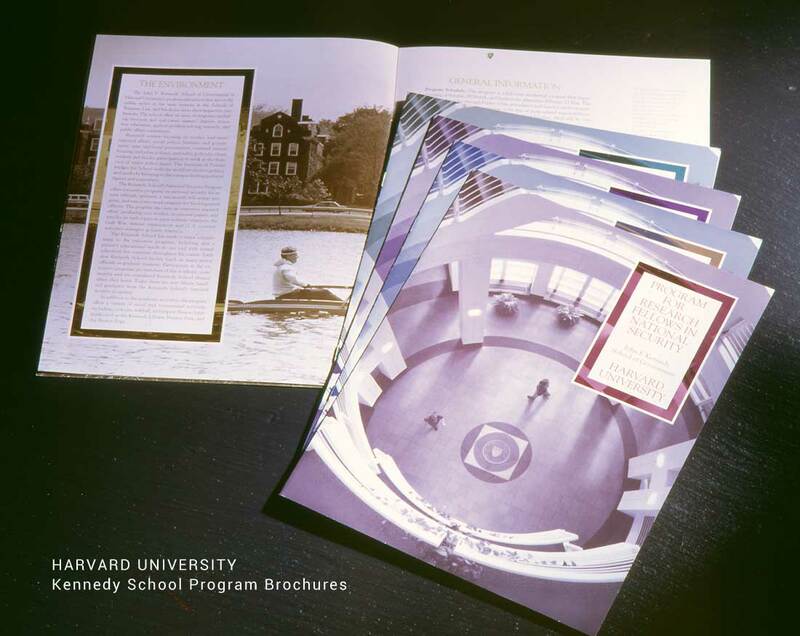 We were honored to work with several schools within this prestigious university to develop print marketing materials. 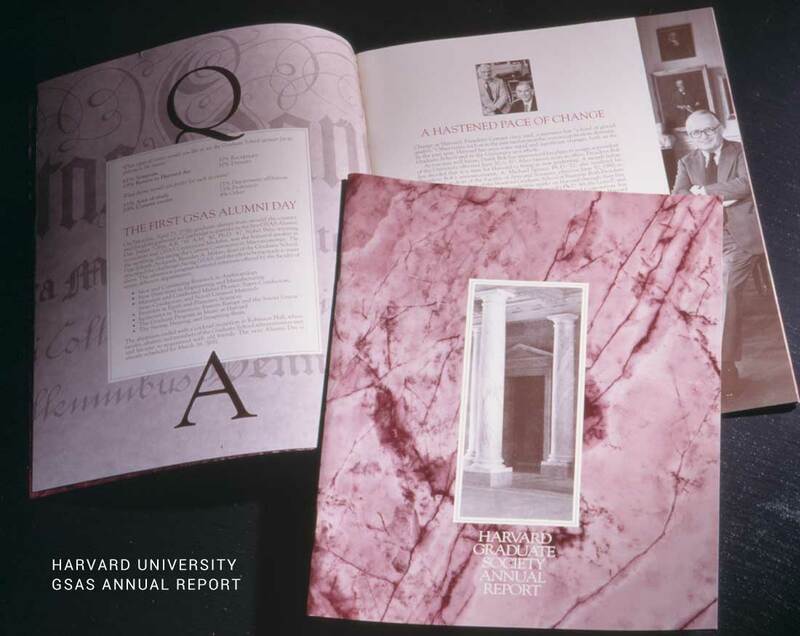 For the Graduate School of Arts and Sciences, the largest school of the university, we developed an annual report that played on the textures of the university – marble, wood and book end paper. For the Kennedy School of Government we developed a series of brochures for the Executive Education Program. When the Graduate School of Education approached us to develop a brochure, they wanted something a little different, that made the school feel friendly. We used pen-and-ink illustrations throughout the brochure to illustrate concepts, and used translucent paper as a visual play on the brochure’s concept of “seeing through” to dig deeper in education. 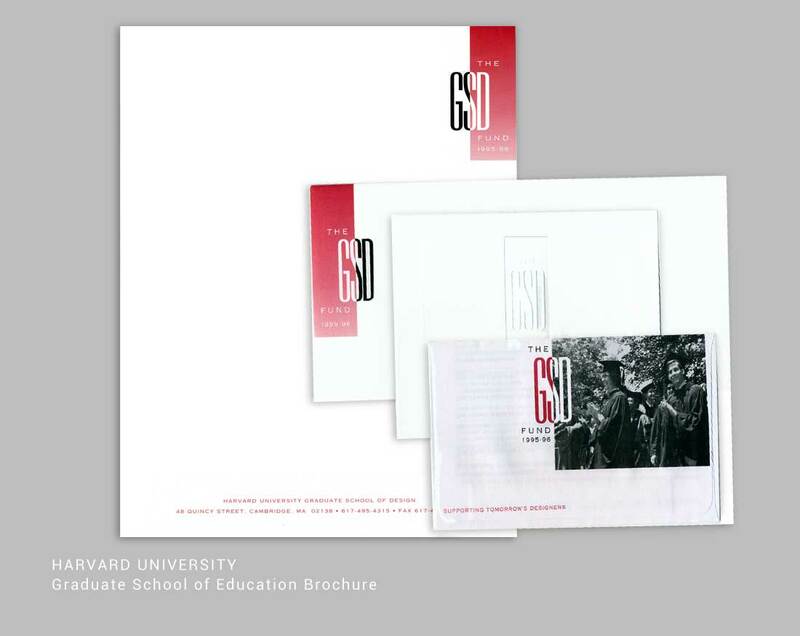 And we worked with the Graduate School of Design to develop a letterhead and reply package.